Since this is the first time in a LONG time that I am home and not doing something on a Saturday morning I decided to do a quick post on painted black interior doors. 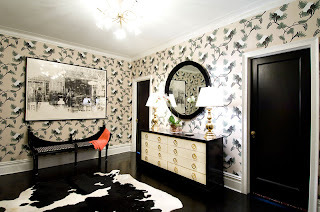 As you have seen, I have white and white and white throughout my house with small touches of wood, black and a teeny tiny bit of color here and there. In doing research for the new garage addition/master en-suite I am looking at doors and decided I want more drama for that space. 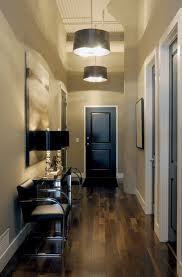 Painting doors black will certainly create that drama. Only problem with that is that it begs the question for the rest of my house, "Should I paint ALL of the other doors in my house black? 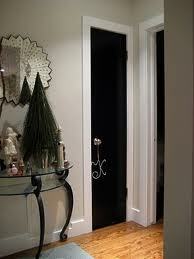 Does that also mean that I paint the closet doors black? Will my husband kill me for this kind of decision? Do I really care?". Ha! I do care wink, wink. Now I'm going to let you in on my whacky inner workings. When I get my mind on to something, I tend to mull over it in a very obsessive cooky manner until I come to a decision. 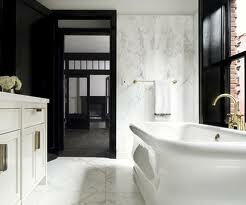 I like that the black doors would most certainly add drama to my home. I also have a black framed front door that I love aside from the fact that people walk up and see right in to your life (which will change soon by the way). I'm also not afraid to take design risks. What do you think? Should we do the black doors, and if so should we do them mat or glossy? Also, do we then paint all the closet door black too? 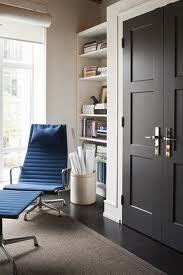 I also like new trend of black doors! 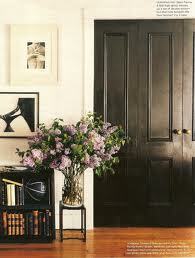 Besides drama, black doors give elegant touch. 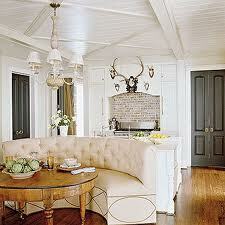 I don´t think you have to paint all doors black..